Hi Skip to My Lou readers! My name is Kim and I blog over at seven thirty three, where I share lots of kids crafts, printables, home decor and more. 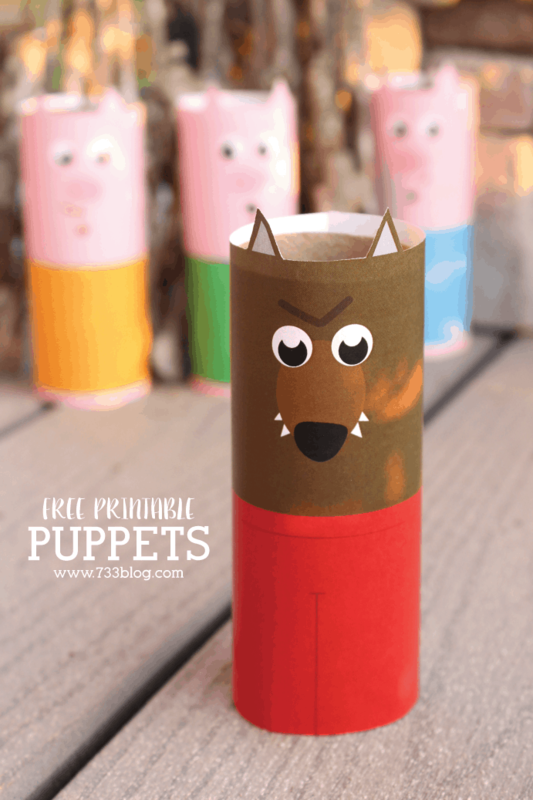 Today I’m going to share a simple kids craft that uses a staple of childhood crafting: the toilet paper tube! 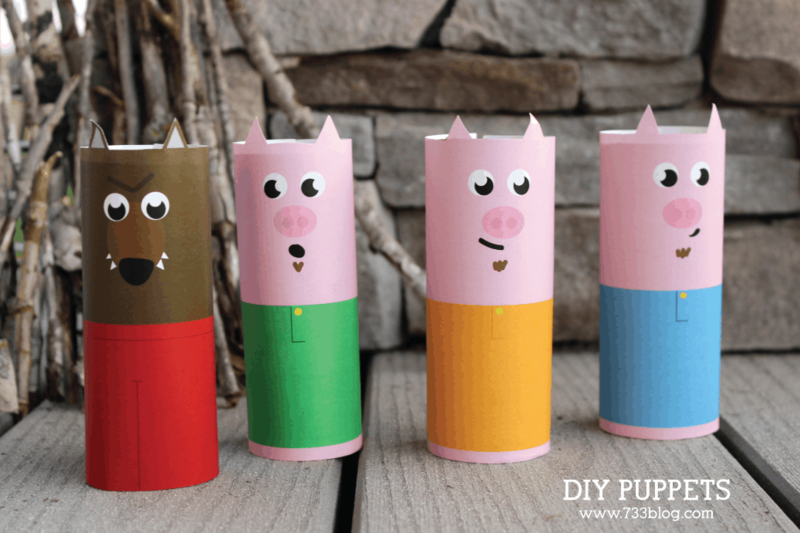 These easy DIY Toilet Paper Tube Puppets use items from a basic craft stash, so you should be able to get started right away. These puppets are perfect for a rainy day, or for play while waiting in the doctors office or at a restaurant. 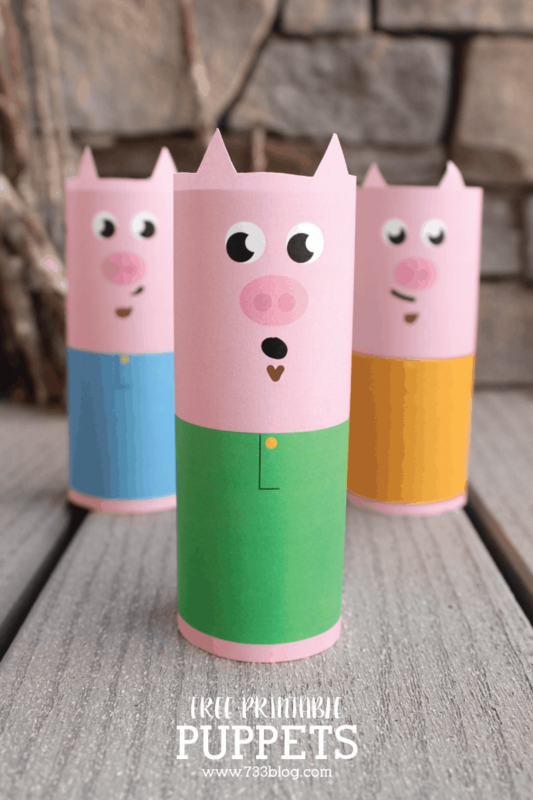 Although I will be sharing a free printable that I designed so that you and your child can create the Three Little Pigs and the Big Bad Wolf, you could easily make your own version with markers and construction paper! Download the printable puppets and open in Adobe Reader. If using a paper towel tube, trim down to size. Wrap the puppet around the tube and tape into place along the seam. That’s all there is to it! Now you and your child can reenact this super fun childhood story. Think about using construction paper to create homes for each of the pigs, or do what my daughter and I did and head outside to use sticks and other natural materials! I hope you and your children enjoy this easy craft! 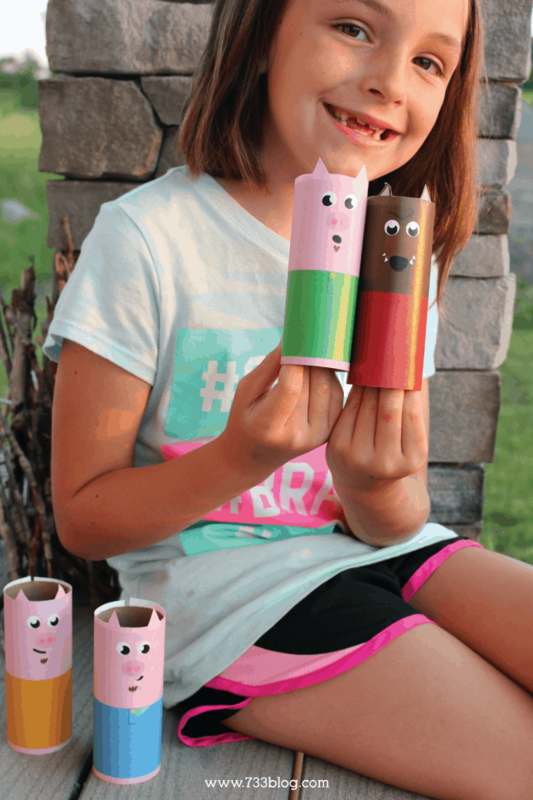 If you’re looking for more boredom busters to help you through these last few summer months, head on over to the kids craft section of my site where you’ll find lots of inexpensive and fun ideas for kids!